1.200 GRS.DE MERLUZA A SER POSIBLE DE LA PARTE CENTRAL O SEIS TAJADAS DE 200 GRS.APROXIMADAMENTE. 3 DIENTES DE AJOS PICADOS FINAMENTE. 200 GRS DE JAMON CORTADO EN LONCHAS FINAS. PRECAUCIONES PARA HACER ESTE PLATO. CUANDO FRIAMOS LA MERLUZA HAY QUE TENER CUIDADO QUE ESTE NO ESTE DEMASIADO CALIENTE PARA QUE NO SE TUESTE. EL TIEMPO MAXIMO DE FREIRLO SERA DE TRES MINUTOS POR CADA LADO. EL TOMATE Y LA CEBOLLA PARA LA SALSA LO PICAREMOS MUY FINITOS. CUIDADO AL SAZONAR LA MERLUZA ,RECORDEMOS QUE LLEVA JAMON. EN PRIMER LUGAR COGEMOS LOS MEDALLONES DE MERLUZA CORTADOS EN APROXIMADAMENTE DE 2 A 3 CENTIMETROS DE GROSOR LES QUITAMOS LAS ESPINAS Y LIMPIAMOS. ,SACAMOS Y DEJAMOS ESCURRIR EN UN PLATO. Y A CONTINUACION LE ECHAMOS LA CEBOLLA CUANDO ESTA EMPIECE A DORARSE,LE AÃ‘ADIMOS LOS TOMATES, AJITOS Y EL RESTO DEL JAMON PICADITO ,CUANDO VEAMOS QUE EL AGUA QUE SUELIA EL TOMATE NO QUEDAÂ AÃ‘ADIMOS LAS GAMBAS Y REMOVEMOS TODO BIEN. 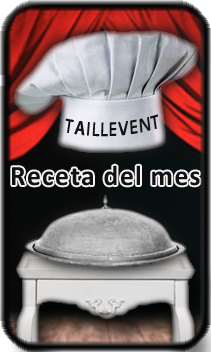 ,AGITAMOS LA CAZUELA PARA QUE QUEDE UNA CAPA POR TODA SU BASE CON ESTA SALSA Y PONEMOS LOS MEDALLONES DE MERLUZA ENCIMA.ESPOLVOREAMOS CON UNA LLUVIA FINA DE PEREjIL Y UN POCO CON EL RESTO DE LA SALSA A CADA MEDALLON . DEJAMOS EN LA CAZUELA PREPARADO TODO.